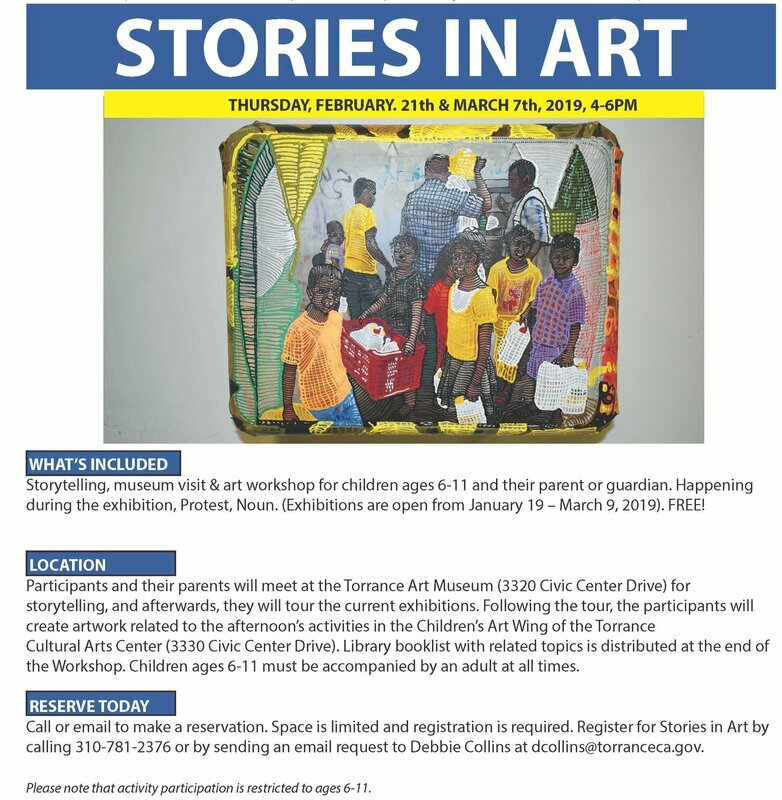 Children ages 6 - 11 years old, and their caregivers, meet at the Torrance Art Museum for storytelling and to tour the current exhibitions. Following the tour, the participants create artwork related to the afternoon’s activities in the Children’s Art Wing of the Torrance Cultural Arts Center. Click here for more information. Have you attended a Stories in Art session recently? Please help us continue to provide outstanding educational community experiences by completing an evaluation of your session. Thank You!